NOTE: PLEASE DO NOT REVERSE WHEN CHARGING OR JUMP STARTING AS YOU MAY BLOW THE UNIT INSTANTLY AND THIS IS NOT COVERED UNDER WARRANTY. IF USING TO JUMP START A VEHICLE BIKE BOAT ETC, TAKE THE CONNECTORS OFF ONCE THE CAR HAS STARTED TO AVOID DAMAGE TO THE BATTERY. READ THE INSTRUCTIONS ON THE BOX BEFORE USING. 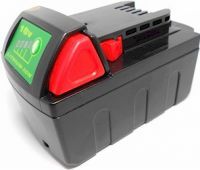 Ability to jump start vehicle battery, over 10 times with a single Charge. Note: *Does not charge tablets to full charge. Does not charge some phones with high capacity rating to full charge. The Tomcat – Portable Mini-Air Compressor measures only 10.2cm x 5.1cm x 15.2cm making it possible to be carried on virtually any motorcycle, scooter or ATV. The built in gauge allows you to observe the increased pressure with a reading up to 120 psi. It also comes with a built in LED light letting you know that it is receiving power and helps you connect to the tire valve after dark. Your motorcycle tire will be fully inflated in less than 10 minutes. And with this unit you also have the ability to inflate sport balls & camping equipment. On the road or in the wilderness you will always have clean outside air available and there’s never a need for replacement parts or re-fills. But...what happens if you start inflating and you find that you haven't sealed the puncture properly. Probably find this out after the 2nd bottle and then you need 4 bottles to inflate to a safe riding speed after again fixing the puncture. Built in gauge 0-120 psi. Thank you for purchasing our product. Please read these instructions carefully first. It will guide you on how to use it safely and what you should pay attention to.